B’nai Brith International has distanced itself from an article in a Canadian newspaper which was critical of former captive soldier. B’nai Brith International has distanced itself from a newspaper article which was critical of former captive soldier Gilad Shalit. The article in question appeared in the Jewish Tribune newspaper which is associated with B’nai Brith Canada. It suggested that many in the Canadian Jewish community were questioning JNF Canada’s decision to invite Shalit to Canada as a guest speaker, fearing that this may broadcast a message of weakness rather than heroism. The statement added, “The Jewish Tribune story in no way represents the views of B’nai B’rith International or its members and supporters around the world. "B’nai B’rith International has the deepest respect for Shalit and the horrors he endured as a Hamas captive. We are proud to have hosted him as a special guest at the B’nai B’rith Europe Young Jewish Adult Forum in London in November 2012, where he was warmly received. Some 200 delegates from more than 20 European countries, Israel and the United States were on hand when Shalit was made an honorary B’nai B’rith International member,” said the organization. 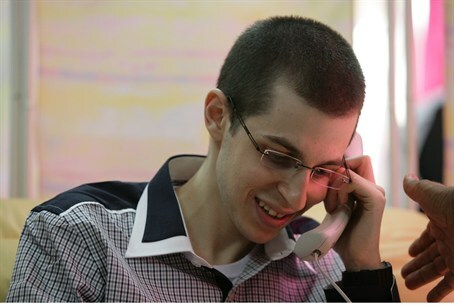 Shalit, who was kidnapped by Hamas terrorists in June of 2006 during a patrol just outside Gaza, was dragged back to Gaza and held captive for more than five years. He was freed in late 2011 in exchange for over 1,000 terrorists imprisoned in Israel. An IDF investigation into the kidnapping revealed that Shalit had not paid much attention to the briefing before the patrol, did not open fire at the terrorists, and was unaware of the fact that there were other soldiers in the area because he had not listened carefully to the briefing. The same issue of the Jewish Tribune which criticized the Shalit initiation also featured a letter to the editor signed by Harry Smith from Montreal, who said that bringing Shalit to Canada as a guest speaker is “a foolish idea”.